In 2010, Kraft, the American global food giant, completed the purchase of Cadbury, an iconic British confectionary and chocolate maker. In Australia, the merger was complicated by the big supermarkets, who were changing the rules of engagement with their suppliers in search of market share and improved margins. TAP was engaged to support the integration of two distinct businesses into one coherent organisation with shared vision, strategy, values and culture. This was complicated by the fact that leaders from both organisations had to compete with one another for positions, but then needed to perform and collaborate effectively from day one. The challenge was mitigated somewhat, by a new CEO from outside each organisation, who was very experienced in the process of transformation. This allowed us to be ambitious in our approach, and really hit the ground running. Initially, our work together focused on uniting the executive team around a shared vision of the future by developing a ‘plan on a page’ that captured the new organisation’s key strategic content. We agreed a set of behavioural standards, derived from the Kraft values, and put mechanisms in place to ensure leaders’ role modelled those standards to the organisation. We then built a compelling story to bring the plan on a page to life, and supported leaders to share that story with employees across the whole organisation. In parallel, we measured the impact of executive team members against their vision, and then set about increasing leadership effectiveness in one-on-one, peer and team coaching sessions. Leadership and strategy were linked together via the disciplined use of leadership scorecards, which highlighted the key priorities for each leader on a quarterly basis, supported by a methodical cadence to ensure currency, accountability and support. Meeting practices were revised and decision accountability was pushed further down the organisation. With the executive team modelling the strategic focus and leadership effectiveness desired by the CEO, we were then tasked with cascading the same principles and practices to the top 100 leaders, in order to build a huge snowball of momentum toward Kraft’s ambitious aspirations. Unlike most mergers, the full integration program was delivered on time, within budget, and at quality standards that were recognised globally as among the ‘best in class’. 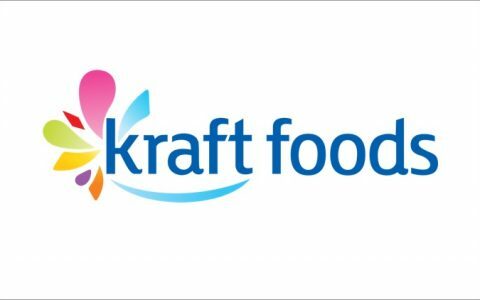 At the same time, Kraft grew faster than the market, increased market share, increased profit, and reduced overheads significantly as a percentage of net revenue. Innovation increased, including new products that drove category share in previously mature segments. Employee engagement increased and turnover decreased to the lowest levels in recent history. Leadership effectiveness increased measurably and significantly, and Kraft Australia became a source of talent development, with several leaders promoted to bigger jobs overseas.